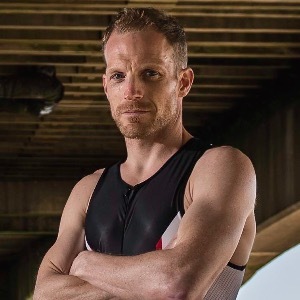 Phil's Intermediate IRONMAN 70.3 + Email Access to Coach. 10 Weeks (9-11 hrs/wk). Build to your best ever race-fitness with 9 to 11 hrs training per week! This plan is designed to get you in peak shape for your priority "A" IRONMAN 70.3. Each week has 6 to 8 workouts, a strength session and a day off. An active recovery week, brick sessions and open water swims are included. Workouts can be exported to your devices and are compatible with Zwift, Garmin and more. To be successful with this plan you should have at least 1 year of triathlon training. Guidance is provided for HR, Feel, Power or Pace. 7 mins in a big gear @ 90 rpm in low Z3. 1 hr 20 min in Z2. 4 x (10 mins in in upper Z3 to low Z4 + 3 min recoveries in Z2). 1 hr 18 min in Z2.